My name is Alan Ket and I am a supporter of art and artists. For many years I have worked with members of the graffiti community in creating public works, fighting legal cases, and helping to establish a market for art works by New York City artists and pioneers. In this capacity I have helped a few artists acquire housing, work, and gain stability in order to improve their success as people and as artists in this tough city. Most recently pioneering graffiti artist, RIFF 170, reached out to me for assistance when he lost his apartment in the Bronx. RIFF’s family has been living in the apartment for decades but when his mother’s illness sent her to live in the South with his sister; the family lost the apartment as they were not on the lease. It’s been over a month since RIFF has been homeless and without work. He is currently sleeping in the streets in the Bronx. I would very much like to see him have a home again. 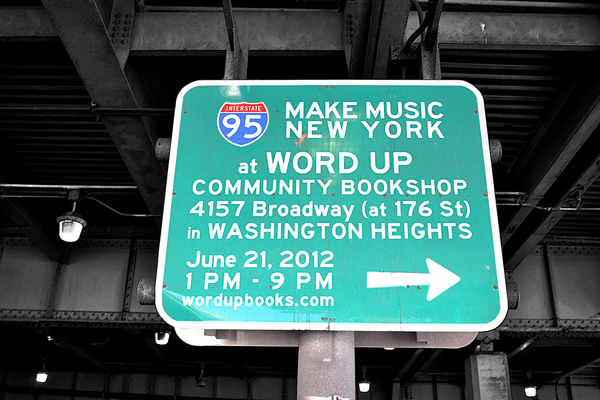 RIFF established himself as one of the most important writers of the early subway movement. His versatility as a technician and his appropriation of pop imagery became the blueprint for generations of writers – particularly the Death Squad which cites him as their major influence. RIFF started painting trains in 1972 under the guise of various names including: DOVE 2, CASH, WORM, CONAN, POD and many others. Unlike many other writers RIFF wasn’t concerned about the fame aspect of graffiti, in fact many writers of his generation didn’t even know his other names. RIFF was inspired by popular imagery all around, his names were a reflection of marketing devices that seeped into his brain. The name DOVE for example came right off the supermarket shelves. CONAN was a famous comic book and CRUNCH was a shortened version of Captain Crunch cereal. He picked names that he liked and reinvented them on the trains with new lettering combinations that hadn’t been seen before. He was one of a handful of artists to show with UGA in the 1970’s. His influence can be seen in the styles and works of major graffiti writers around the world today. As many as 3.5 million people experience homelessness in a given year. In recent years. homelessness in New York has reached the highest levels since the Great Depression of the 1930s. In February 2011, there were 39,500 homeless people, including 9,900 homeless families with 15,700 homeless children, sleeping each night in the New York City municipal shelter system. Families comprise 75 percent of the homeless shelter population. Research shows that the primary cause of homelessness, particularly among families, is lack of affordable housing. The statistics can be overwhelming and leave us feeling hopeless. However, together we can ensure that RIFF 170 no longer resides in the cold, wintry streets of New York. Your donations will help secure a home for RIFF 170. The goal is to raise a total of $4,000 to assist RIFF 170 in having a home this winter. Any amount donated is greatly appreciated. The grand total of $4,000 will be used to secure a studio, at $850 per month. A total of $3,400 will cover the cost of 1 month security deposit and 3 months of rent. The remaining $600 will cover the cost of 3 months of utilities (i.e. electricity, heat and phone). This will allow RIFF 170 the opportunity to secure employment and get on his own two feet. The margin on the right side of the fundraiser page lists several donating perks starting as low as $20. Claim one and help put an end to RIFF 170’s homelessness. No matter what amount is raised, 100% of the funds will be used to assist RIFF 170 in moving off the streets and into his own apartment. Sidebar: For the items [i.e. tags, dedications, sketches, etc) that need to be shipped overseas, please be sure to include an additional $15 to cover the cost of shipping. We’re aiming to assist RIFF 170 in finding a home with 100% of the proceeds. Thank you so much! 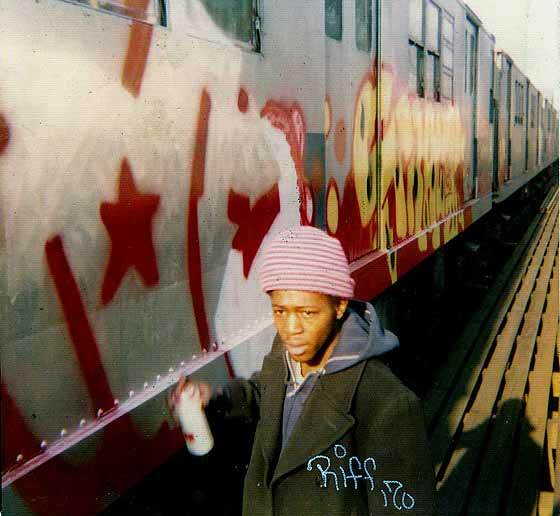 Share the Help Graffiti Pioneer RIFF 170 Get a Home project in any way you can! You can forward this fundraiser to others, by using one of the share icons at the top. Please use your twitter, facebook and email accounts to get the word out.